Crystal Clayton, a career-management professional with more than 20 years of experience working with graduate and undergraduate students, has been named executive director of SMU’s Hegi Family Career Development Center. She will begin her new duties on Aug. 28, 2017. Clayton was selected after a competitive national search coordinated by a campus committee chaired by Stephen Rankin, associate dean of students and chaplain. As director of the JCPenney Leadership Center and an adjunct management instructor in the University of Oklahoma’s Price College of Business, Clayton works with students, staff and faculty to create and implement several successful career and professional development initiatives and events. She leads the Center’s work in alumni and corporate relations, recruitment and admissions, career counseling, professional development programs, program assessment, and partnership development, among many other areas. In addition, Clayton leads the Center’s Alumni and Student Advisory Boards and Faculty Committee and serves on the OU Writing Center Advisory Board. She created, developed, and launched a Board Fellows Program for leadership associates, which allows students to serve as nonprofit board members. She founded, organized, and led the Center’s Peer Training Team, initiated an alumni career conference in Price College of Business, and helped reboot OU’s Women in Business Leadership Conference. She also designed and taught leadership courses and programs for Price College, including a minor in leadership. Previously, Clayton served as director of student services and associate director for career management with the Full-Time MBA Program in Rice University’s Jones Graduate School of Business. In progressively more responsible roles, she counseled students on networking, résumé and cover-letter writing, successful interviewing, career selection, and job-search strategies, among other career-related topics. She advised student leadership for more than 30 Jones School organizations, as well as initiated and developed an MBA team mentoring program. In addition, she was sponsor of the Rice Chapter of the National Association of Women MBAs, served on the Jones School Corporate Advisory Board, and participated on the Jones School E-Learning Committee. Clayton’s professional recognitions include a 2015 Students’ Choice Staff Appreciation Award and a 2013-14 Dean’s Excellence Award for Professional Staff from OU. Currently, she serves on the executive committee of the University of Missouri-Columbia’s Griffiths Leadership Society for Women. From 2009 to 2012, she served as a board member of the American College Personnel Association’s Commission for Career Development. A native of St. Louis, Clayton received her B.A. degree in English from Truman State University. She earned an M.A. in educational leadership and policy analysis from the University of Missouri-Columbia, and an Ed.D. degree in educational leadership and higher education from the University of Nebraska-Lincoln. At the Spring 2016 Career and Internship Fair on Thursday, Feb. 18, students will have the opportunity to network with over 75 companies, including Southwest Airlines, Peace Corps, EY, Epsilon and Sendero. Sponsored by the SMU Hegi Family Career Development Center, the fair is set for 4 to 7 p.m. in the Hughes-Trigg Student Center Ballrooms. Watch a Mustang Minute! video of the February 2015 Career and Internship Fair by Myles Taylor of SMU News. Attend drop-in hours at the Career Center from 1 to 4 p.m. Tuesdays through Thursdays and have a counselor review your resume. Bring plenty of copies of your resume to the Career Fair. While you’re at the Career Center, you can take assessments to identify your values, interests, personality and skills. Do your research. Review the list of participating employers, and learn more about the ones that interest you. Download the new SMU Career Fair + app on Google Play or Apple Store to get up-to-date information about the fair and participating employers. SMU will host an opportunity to learn from and network with experts in social entrepreneurship at its 4th annual Social Innovation Forum and Expo from 2-4:30 p.m. Tuesday, April 7 in the Owen Arts Center. The event, presented by SMU’s Meadows School of the Arts and Hegi Family Career Development Center, will feature two panel discussions with a dozen experts who are developing solutions to pressing social issues. The panels will be led by Trey Bowles, adjunct lecturer at the Meadows School and co-founder and CEO of The Dallas Entrepreneur Center. Panelists will include representatives from the United Way of Metropolitan Dallas, Warby Parker, Hari Mari, Social Impact Architects and other leading Dallas organizations and social entrepreneurs. The discussions will be held from 2 to 3 p.m. in O’Donnell Hall, 2130 Owen Arts Center, followed by a networking reception and Social Impact Expo from 3:30 to 4:30 p.m. in the Bob Hope Theatre lobby. The expo, which is co-sponsored by SMU’s Engaged Learning office, will allow participants to network with panelists, visit with social enterprises, entrepreneurs and nonprofits in the DFW region, sample products, and learn about jobs, internships and volunteer opportunities that have a positive impact on the community. Expo participants include Goodwill Industries, CitySquare Americorps, Akola Project and many others. Admission is free; advance registration is requested. Social Innovation Forum attendees can register online. For more information, contact Abigail Smith, 214-768-3425. 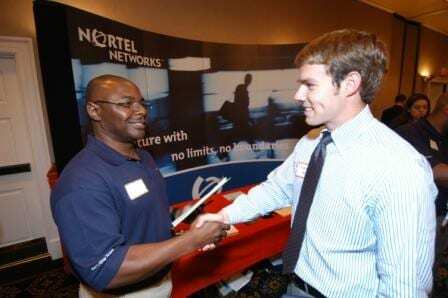 SMU students will have the opportunity to connect with 117 companies and more than 225 employer representatives at the University’s Spring 2014 Career and Internship Fair Monday, Feb. 24. Employers attending include the U.S. Department of Labor, Neiman Marcus, Peace Corps, McAfee Inc., American Airlines, KPMG, Citi, Ernst and Young, Deliotte, JCPenney and many others. Sponsored by SMU’s Hegi Family Career Development Center, the fair takes place noon to 4 p.m. in the Hughes-Trigg Student Center. Darin Ford, director of the Hegi Career Center, says the event can open a variety of doors for students, whether it is their first semester or their last. “For the first time, we have partnered with eight SMU graduate school departments who will be in attendance recruiting students for graduate school opportunities on the Hilltop,” he says. Come early to meet with “fresh and ready” recruiters. MustangTRAK, an online database featuring hundreds of jobs and internships, and UCAN, or University Career Action Network, a shared internship database among universities across the country. Alumni are invited to share their career expertise and mentor SMU students. Learn more at SMU Connection. At the Fall 2013 Career and Internship Fair on Thursday, Sept. 19, students will have the opportunity to meet 112 companies and network with more than 270 employer representatives. Employers attending include the U.S. State Department, Neiman Marcus, Peace Corp, Scribe.ology, American Airlines, General Motors, KPMG, the FDIC, Ernst and Young, Deliotte, Hitachi Consulting and many others. Sponsored by SMU’s Hegi Family Career Development Center, the fair will take place noon to 4 p.m. in the Hughes-Trigg Student Center. Darin Ford, director of the Hegi Career Center, says the event will open a variety of doors for all SMU students, whether it is their first semester or their last. “Students are four times more likely to receive a job or internship offer if they have networked with someone in their dream company,” he says. All majors are encouraged to attend the fair in order to gain real-world practice by using the skills and knowledge they’ve acquired in the classroom, says Ford. This Valentine’s Day, SMU’s Hegi Family Career Development Center will play matchmaker for students and businesses looking for commitments. More than 100 employers will participate in the Hegi Career Center’s Spring 2013 Career and Internship Fair noon-4 p.m Thursday, Feb. 14, in Hughes-Trigg Student Center. Students can find a list of participating employers here. 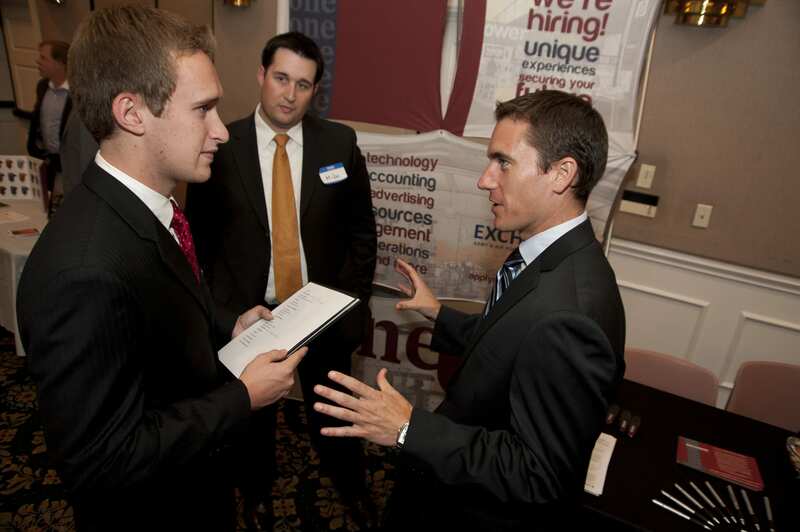 More than 100 employers are participating in SMU’s Fall 2012 Career and Internship Fair. Janet Lewis, assistant director of the Hegi Family Career Development Center, advises students to make a plan before the fair about the employer representatives they’d like to visit so they can use their time efficiently. The fall fair takes place noon-4 p.m Thursday, Sept. 20, at Hughes-Trigg Student Center. Students can find a list of participating employers here. Another year, another new wave of students and prospective employees at SMU. And while students attend college for the education and higher learning required to get them to that dream job or career, are their interview skills, résumés and personal grooming quite at that same level? For those without definite answers to that question, the Career & Internship Fair Prep Day event on Sept. 1 is something students should consider marking down on their calendars. A precursor to the Career & Internship Fair Day itself (to be held two weeks later on Sept. 16), Prep Day is a Hegi Family Career Development Center-sponsored event at the Hughes-Trigg Student Center where student applicants receive a variety of workshops on preparing themselves for seeking that future job. Resumania (1-4 p.m.): Students meet one-on-one with employers, who provide valuable feedback on their resumes to use in job and/or internship searches. Job Search Prep For International Students (1-1:50 p.m.): A workshop specifically designed to help SMU international students navigate and understand the job search process. How To Succeed at the Career & Internship Fair (2-2:50 p.m.): Students will learn valuable tips and hints on how to make the most of their time and how to leave a good impression on prospective employers at the C&I Fair. Dress For Success (3-3:50 p.m.): What to wear for that killer interview? Students get a tutorial on how to visually impress and ace the interview with the help of a well-selected wardrobe. All Career & Internship Fair Prep Day events will be held on the lower floor of the Hughes-Trigg Student Center. For more information, contact the Hegi Family Career Development Center at 214-768-2266 or visit online at smu.edu/career.